I have been waiting to share the launch of the Bragg Vineyards site and I’m so excited to see it live! I’m loving the way the design turned out! Bragg Vineyards is a small (only about 125 cases annually) cabernet sauvignon producer in Calistoga and needed to get an online store up and running, in addition to refreshing the core website. Looking for something clean, with an upscale feel that was worthy of the small-lot wines, I was inspired by the new bottle shots we had done (thanks Megan!) and got to work on designing and coding a website that would properly showcase these two vineyard designate wines. We also got his store launched and I can’t tell you how much professional bottle shots (or professional photography in general) can make your website leap off the screen. Photos can really enhance the look and feel of a site and I was fortunate to not only have the new bottle shots, but also some great images that owner/winemaker Bob Bragg had taken himself. It really does make all the difference. 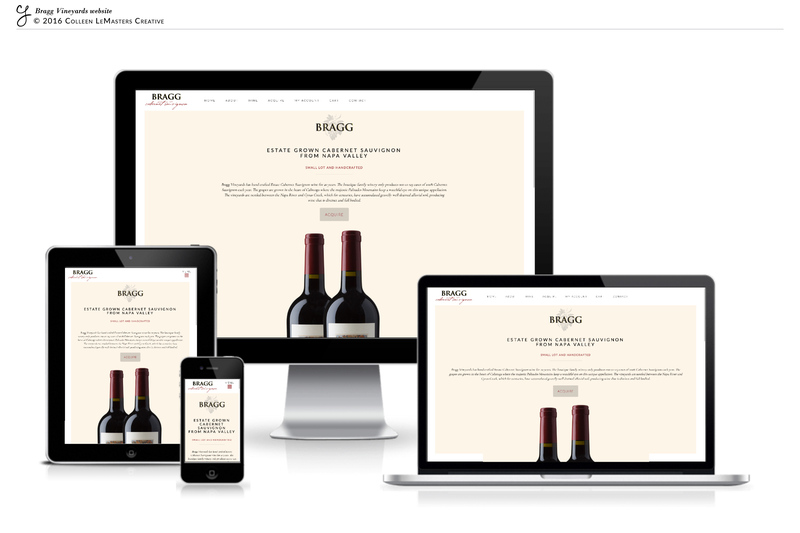 Because Bragg Vineyards would like to manage their website in-house, we of course opted for a WordPress platform for both the core site and the online store. This also allowed the client to create the new copy he wanted and get familiar with the CMS while updating the content himself. IMHO, the screen grab image doesn’t quite do it justice, so I’d definitely recommend visiting the website itself to get the complete vibe of the website, so head on over and take a look at the latest design!